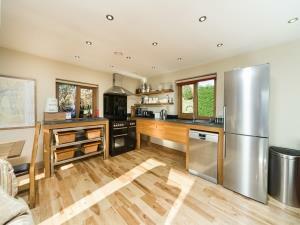 Over Brandelhow07711 592156work Self-cateringPreviously known as Fellside Cottage. The extensive views down the Borrowdale valley from Over Brandelhow must be some of the best in the area. 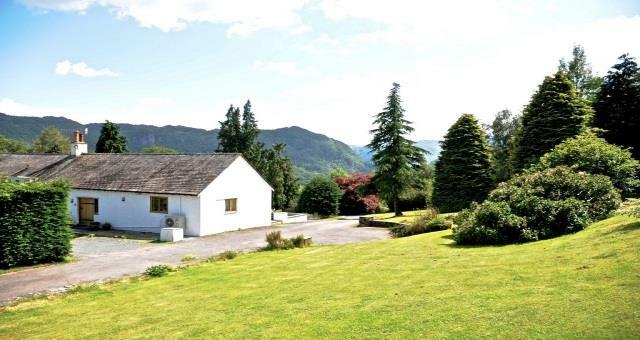 Set on the slopes of Catbells, the location is so peaceful and has great walks from the doorstep, whether you're looking for level lakeside walks around Derwentwater or more vigorous fell walking over Catbells, down the Borrowdale Valley or over the top into the Newlands Valley. The cottage sits on the side of Catbells at the top of a long drive and up away from the road so there is no passing traffic. Over Brandelhow has private parking and direct access onto Catbells and the Allerdale Ramble. Of course we are dog friendly. Over Brandelhow is semi-detached and very spacious sleeping 6 people in 3 bedrooms, 1 master double and 1 double downstairs, another twin with en suite upstairs. There's bags of room for 6 people. The sitting room has lots of windows so whatever the weather you can sit and admire the Borrowdale Valley from your armchair. The fully-fitted kitchen is open to the sitting room making a really sociable space with hardwood ash floor, electric log effect fire and a fully equipped kitchen. A large terrace opens off the sitting room with table, chairs and grand views towards the lake and valley. There is an abundance of wildlife around, garden birds, red squirrels and pheasants. The lake is a gentle stroll downhill through Manesty Woods to Brandelhow, a lovely walk and from here you can take the ferry to Keswick or Lodore. Over Brandelhow offers weekly bookings starting on Saturday. Location was good, comfort & facilities excellent and the lakes were outstanding as ever. 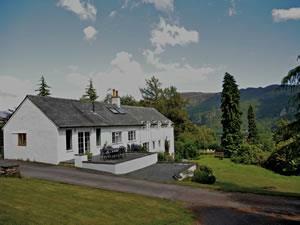 Previously known as Fellside Cottage. Arrival time from 16.00, Saturday to Saturday. Keswick is a 15-minute drive away and Grange in Borrowdale about a mile. Over Brandelhow is semi-detached and has 3 bedrooms, 2 on the ground floor and 1 upstairs with a fully fitted en-suite shower room. There is a ground floor family bathroom with bath and separate shower cublicle. The kitchen has washing machine, fridge freezer, oven and microwave. There are stunning views down the Borrowdale valley and over Lake Derwentwater. Children welcome from any age. From M6 take A66 west to Keswick, following signs to Borrowdale. Leave A66 at second Keswick exit. Take B5289 for 4 miles, take right hand turn over Grange Bridge, through the village passing Borrowdale Gates Hotel. Continue on past Low Manesty Caravan site and up the hill. One quarter-mile along road take the drive on left side, Over Brandelhow is at the top on the right hand side.